The Marvel Universe will be taking a trip to Wankada, in the new superhero film, "Black Panther." This will be the first Marvel film with an all-black cast in leading roles, and the first African superhero to get their own movie. The film's director, Ryan Coogler, was able to wrangle up a stellar cast to play Marvel's royal African family. 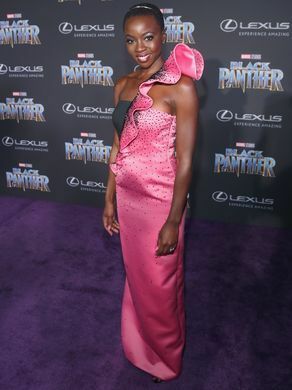 Chadwick Boseman, Michael B. Jordan, Lupita Nyong'o, Angela Bassett, Forest Whitaker, Danai Gurira, Martin Freeman and Daniel Kaluuya will star in the film. Needless to say with a cast like this we are more than excited to see this film that is already getting great reviews. 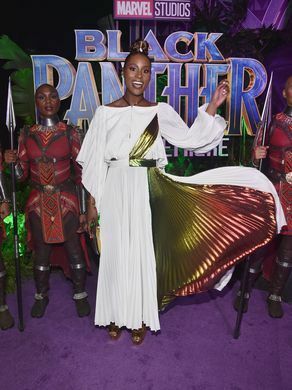 The world premiere of "Black Panther" was Monday, January 29th and #BlackExcellence was on full display. The theme for the night was royalty, and everyone that walked the red carpet was dressed like African royalty. It is a beautiful thing to see African culture on full display, and we're gagging at some of these looks.